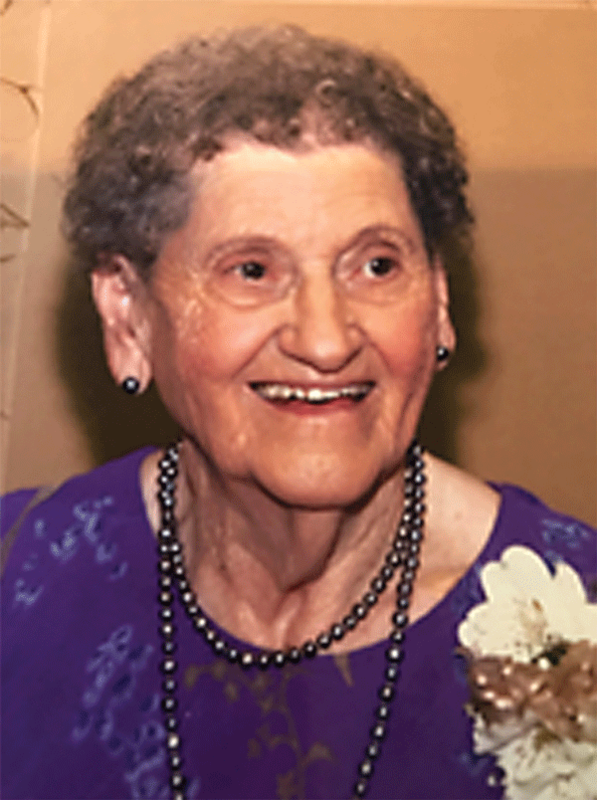 Delia Pearl Gillespie, formerly of Exeter, Calif., passed away on Feb. 24, 2019. She was 99 years old. She was born Delia Pearl Lewis on Oct. 14, 1919 in Logan Township, Kan. Her family moved to the Central Valley in 1923 where she later married John Gillespie on Oct. 14, 1937 in Exeter. She was preceded in death by her husband on Dec. 22, 1980 and their daughter, Karen Durrant of Exeter, on Nov. 9, 2014. She is survived by son Raymond Gillespie of Atlanta, Ga.; grandchildren, Lisa Michelle Gonzales of Visalia, Calif. and Shannon Gaston of Junction City, Kan.; three great grandchildren, Cassandra and Kahili Gonzales of Visalia and Hunter Gaston; one sister Lela Rigdon of Visalia; plus her extra extended family of Rosemary and Gene Yunt, Diane and John Fazio, Andree Yunt, Damon, Darin, Briana and Chantale Yunt, plus many more friends and family. She lived a great long life and will be missed. Services will be held today, Wednesday March 6, 2019 at Smith Family Chapel, 505 E. Pine, Exeter, at 11 a.m. and a celebration of life immediately following at Exeter Historical Museum.